Obituary – Murch, Peggy Ann (Hoggatt) « Perry High School Alumni Association, Inc.
Library 48-50, Class Assembly 50-51. 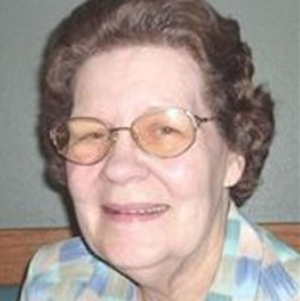 Peggy Ann Murch entered eternal rest on Wednesday, May 2, 2012 at the age of 77. Peggy was born on November 3, 1934 in Perry, Oklahoma to Laurence G. Hoggatt and Opal Hyde. 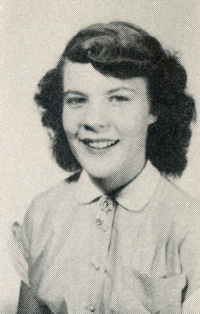 A graduate of Perry High School, she was united in marriage to Donald Eugene Murch on December 22, 1951 in Perry, Oklahoma. Peggy and her husband moved to Giddings in 1979. She was employed by and retired from Walmart in Giddings, Texas. She was a loving and devoted homemaker. She enjoyed nature, traveling, reading and spending time with family members. Peggy leaves behind her husband Donald Eugene of 60 years, her daughters, Joyce Anette Thornhill and Donna Jean Murch and her son William David Murch. She was blessed with five grand children April Jean Ainsworth, Christina Elizabeth Lykke, Samuel Allen Thornhill, William Casey Murch and Justice Grace Murch. She also had five great grand children. She was preceded in death by her Father, Mother and brothers, Jimmy and Johnny Hoggatt. Visitation will be on Friday, May 4, 2012 from 2:00 PM to 9:00 PM at the Phillips & Luckey Funeral Home in Giddings, Texas. The family will be available from 4:00 – 6:00 PM. A graveside service will be at Colonial Gardens Mausoleum in Marshall, Texas on Saturday, May 5, 2012 at 4:00 PM.